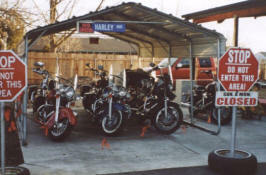 Boise Cycle, LLC does service, repair and mild performance on late model Harley's. 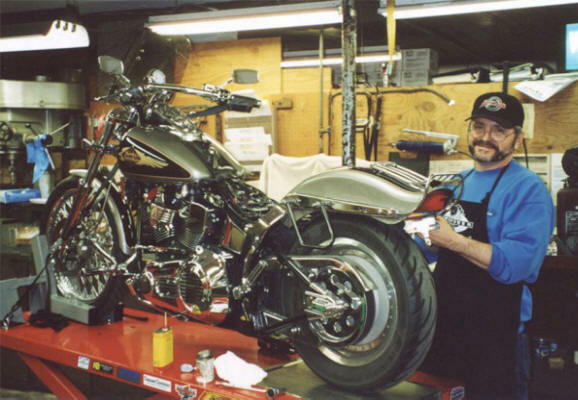 We work hard to give your bike the extra attention and care that you are looking for. Carl installing L.E.D. 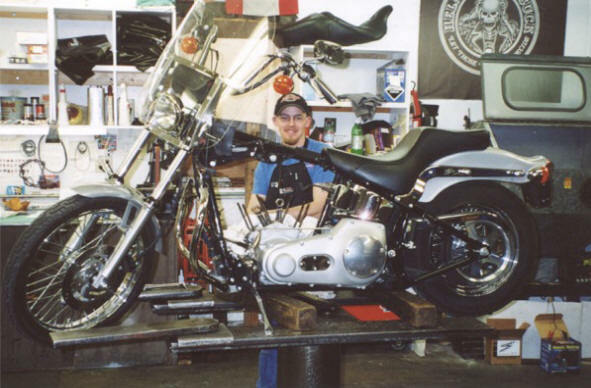 turn signals on Barry Broom's 1997 FXST using one of our 3 Snap-On hydraulic lifts. 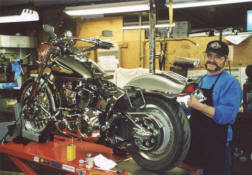 Working on a 2010 FLHXXX Harley Trike. Our car lift works good to lift them. Customer's bikes waiting to be worked on. 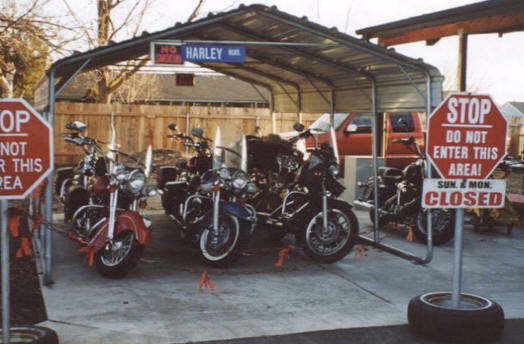 No one but the owner's are allowed near our customer's bikes while they are in our care. We also specialize in streetable performance. Josh working on Evelyn Cole Barth's 2001 FXST making it a 95"
After 2 years of medical leave, welcome Josh back! He's part time starting July 2010. Carl doing carb work, using the old-time in-floor air lift! Big Twin Evolutions 1999 and newer. 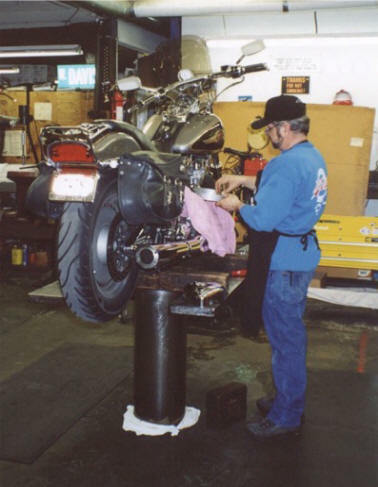 After inspection, we reserve the right to refuse to service or work on any year or model of motorcycle.